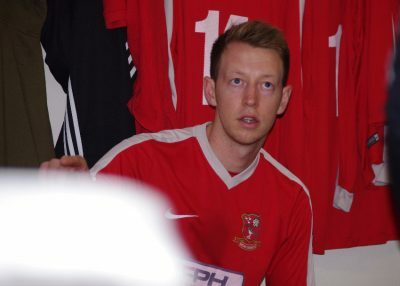 Selby Town manager and Messiah Christian Fox is one of the brightest managerial prospects in the NCEL. Non League Yorkshire spent the whole of Saturday with him to gain an insight into how he has helped turn Selby into a thriving community asset. 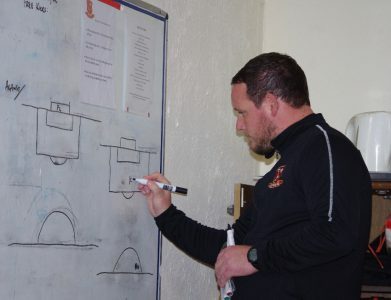 Non League Yorkshire has previously published similar articles about one of Harrogate Railway’s greatest managers – Billy Miller. Read those HERE and HERE. “I spent most of last Saturday night in the garden with my iPhone torchlight on and with a dustpan and brush in my other hand as the two guinea pigs had met a nasty end. One had been decapitated. We reckon it was foxes.” This is the opening gambit of the day after arriving the fabulous Fox residence at 8.20am in the affluent Poppleton, a lovely suburb of York. The conversation was about the 4-0 defeat at Toolstation NCEL Division One promotion rivals Grimsby Borough eight days ago, but as we later learn, the former midfielder, seen by many as the York City manager-in-waiting, is not one to dwell on results – perhaps a characteristic developed from a previous life as a stockbroker. 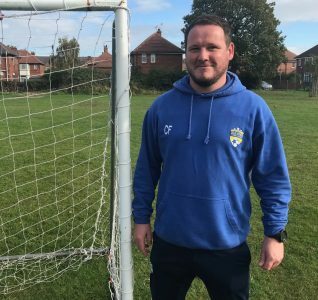 Leaders Winterton Rangers travel to Selby in the afternoon and Fox is ready to face a team his side only beat in dramatic circumstances two weeks earlier, but first he has another important engagement. 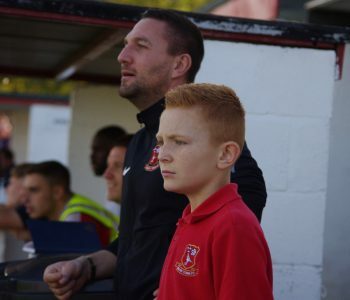 Away from Selby his full-time occupation is his own football coaching business – The All Star Football Academy. 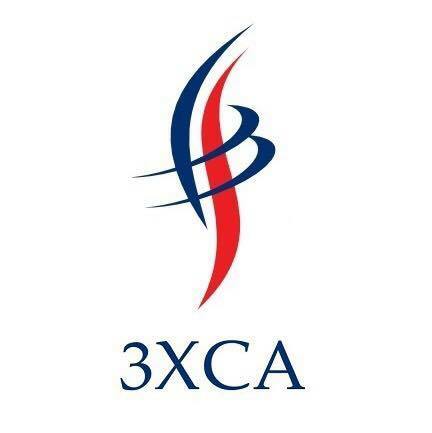 Based in York, Fox’s company offer professional football for those aged from three upwards. Four years on since the beginning, Fox’s and his staff coach over 200 children privately and over 120 through their many school partnerships. Life is football 24/7 more-or-less – business and pleasure – and all at grassroots level. 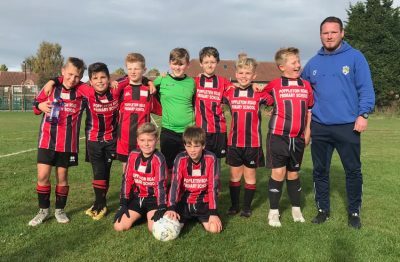 It is actually a school where the first port of call is this morning – Clifton Green Primary School, to be precise, for a York Schools football tournament for years five and six. So off we go with Fox at the wheel of his car. We pass Poppleton Tigers and Fox says “this is where it all started”. For a video documentary it would make the perfect introduction. Poppleton was the first stop on a burgeoning coaching career, as manager of his son Harry’s under sixes team. 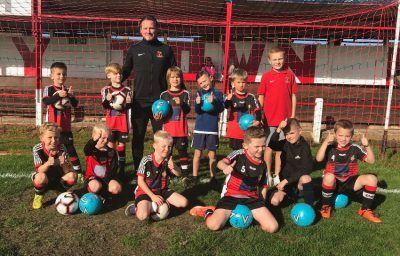 He’s still the head of boys football there, and some sessions and holiday camps through his business operate at Poppleton’s well-regarded facilities. 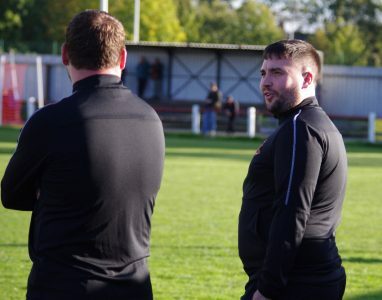 The first team manager’s job at Poppleton Town was his first foray in his senior football management. 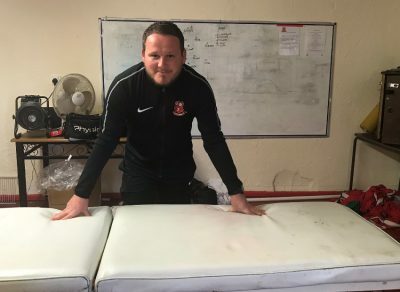 Success there led him to the Selby Town throne. We arrive at Clifton Green in plenty of time and his team made up of year five pupils from Poppleton Road Primary Road soon start arriving. His year five team actually show traits usually seen in the current Selby team. A never-say-die attitude and a desire to fight for each other. After losing their first fixture, Poppleton Road win both their final two fixtures 1-0 against two strong sides to reach the semi-finals. 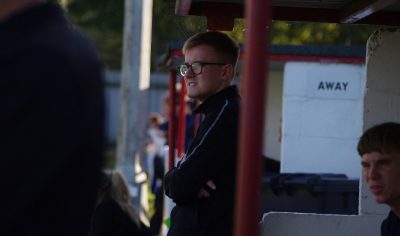 The second match was won by a goal reminiscent of Charlie Clamp’s 35-yard wonder strike against Winterton two weeks ago. Even at a school in the middle of York, there is a one familiar face from the Non League circuit. 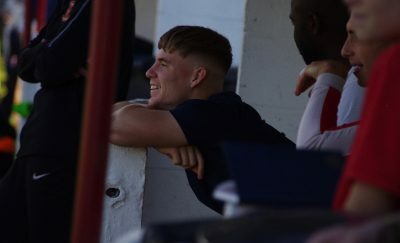 Sally Bissett, the mother of Pickering Town star George Bissett and Harry, a Selby player, is the Poppleton Road secretary and is on the side watching proceedings. The semi-finals are a bridge too far for Poppleton. 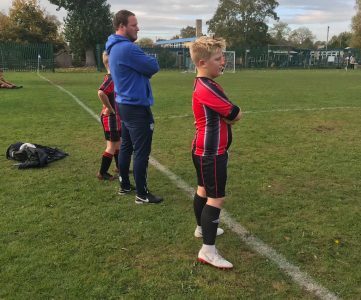 They are beaten 2-0 by Huntington, but there’s no disappointment as their opponents were made up of year sixes. Now the All Star work is done for today, lunch is next on the agenda. Still in relaxed mode and as we drive away from the school, the conversation turns to the Minstermen – the club he is synonymous with having served their first team for four years from 1999 to 2004. He is so highly-regarded by York fans that he was linked with the recent manager’s vacancy at Bootham Crescent, to the extent that Bet Victor had odds of 10-1 on him replacing Martin Gray. “I didn’t apply for the job, but it was nice to be linked to it and I’d quite like the job in the future,” admits Fox. 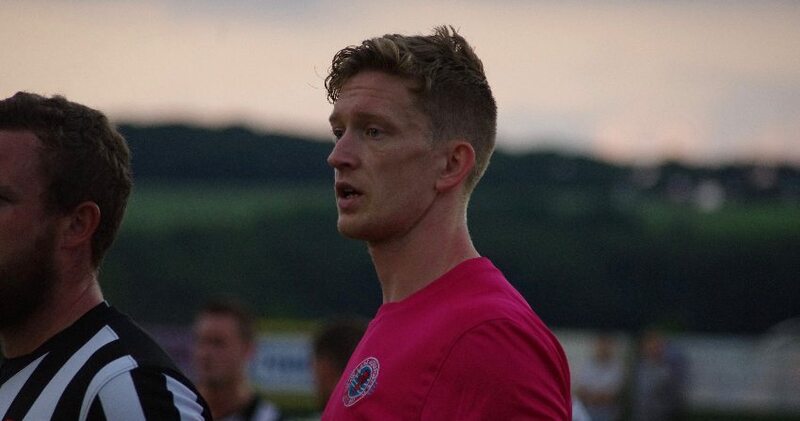 “York City is the club I have the most affinity with. It’s where I live, I’ve lived here since I was 16 and including youth teams, I played for York for nine years. “You have to have a lot of sympathy for them because of who they are and where they have come from. I can’t help but feel angry and annoyed in another way because they shouldn’t be where they are. 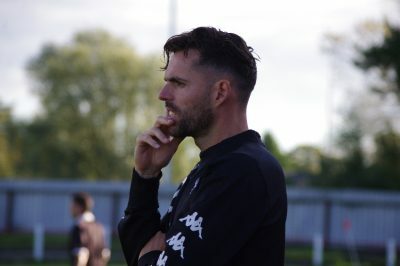 Based on York’s fall of grace which saw suffer back-to-back relegations – from League Two to National North regional football – someone like Fox would fit the bill as a man capable of reviving their fortunes. Fox has been the Messiah for Selby, just like Kevin Keegan was for Newcastle United in the 1990s. 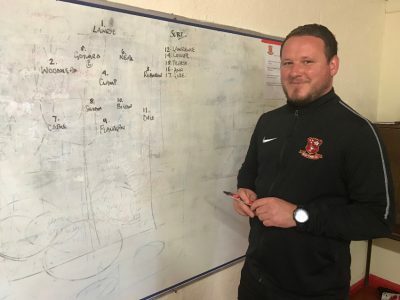 Previously a player at the Fairfax Plant Hire Stadium during the Bob Lyon era, Fox came back as manager in May 2017 and has lifted the club out of the doldrums and got the local community behind him. 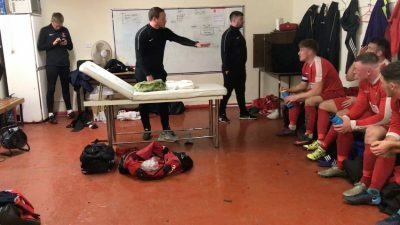 That was clear when over 400 people turned out for the FA Cup replay with Kendal Town in September – a game that truly put Selby back on the map. 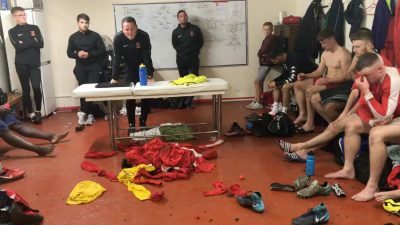 With a swash-buckling style of play, Selby are now seen as a top side in the Division and that’s simply down to Fox and his management team. “It has been an amazing turnaround for the club in terms of on-and-off-the-pitch and it has been great to see,” he says. We briefly arrive back at Fox’s house. He gives the guided tour, including the location of the grisly scene from seven days earlier. We are there to collect his son Harry, Selby’s social media guru. 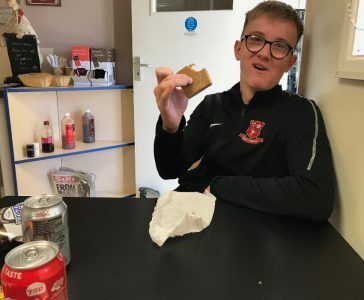 Chatterbox Harry, is currently learning to drive and is looking forward to going to University next year and he joins us on the next part of the journey – Face Fillers – a sandwich shop in Rawcliffe. Fox is buying and he even saves money by opting for the meal deal. Two Bacon sandwiches, cola coca, diet cola crisps, plus a toffee crisp, a Kit-Kat and Harry’a Caramel shortcake (he made himself an omelette earlier) before we continue delving into Fox’s past – his previous life as a stockbroker. “I went and did a personal trainer course after leaving York so I did that and then on the side I was dealing in stocks and shares,” he says. “I was working for myself and I had a six screen computer in my house. It was very lonely because you are literally sat in your office on your own for hours. “I was only handling my own and my family’s money, but it was still stressful because you have to make money to put food on the table. “The stockbroking or call it share dealing is the most pressurised thing I’ve ever done. More pressurised than running a football team or your own business. You’d literally go to bed not knowing what the American or Asian markets were doing. Ten years in stockbroking may be the reason why Fox says he does not dwell. Now attention turns to the Winterton clash. Victory for the leaders will send them 12 points clear of Selby. It is a big fixture even at this stage of the season. “Every game does matter because only one team goes up,” he says. “It is only October and no-one goes up in October, but it so tight up there at the minute. 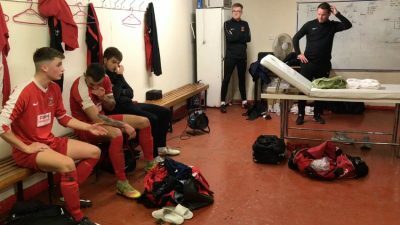 “Winterton were running away with it at the start, but not now. Because it is tight, it is a must-win game and you’ll see me say it to the players. “It is a bit of both really why I’ll say it. One because we are the home team and two because we need a win after the defeat last week. Attention turns to what difference will we see from Fox in the afternoon. “Results matter, the environment is totally different so you will see a different me,” he adds. We’re now on the road to Selby, a half-hour journey from Fox’s home. On the way, we pick up his loyal assistant Jonny Bruce from a bus stop close to the centre of York. There’s plenty of banter as Bruce gets into the back of the car with the news broken that the child lock is on and Fox doesn’t know how to take it off. With Bruce and Harry cosy in the back, all that is missing is a couple of child seats. We arrive at Selby’s ground at 1.30pm. Harry and Bruce are released from ‘custody’ and on arrival we are greeted by long-serving Norman, who puts bluntly “we need a win today lads”. Popular chairman Ralph Pearse appears and welcomes his ‘Special One’ with delight. Pearse has backed his manager to the hilt and knows just how important he to the club if they want to move forward. Match secretary Mark finds Fox and the pair disappear to write the team-sheet. 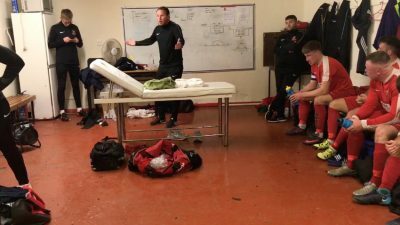 The seriousness of the game is underpinned by Fox to his players. “Last week has gone, nothing we can do, but this game today is a must-win,” he tells his charges. During the warm-up, just how fantastic the environment is evident. 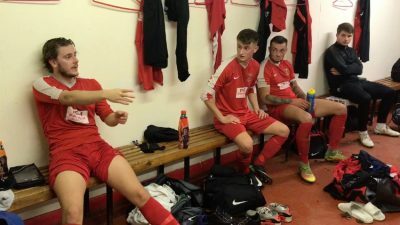 Players want to play for Fox and Selby. Young Zak Lawrence struggles to break into the team, but attends every training session and loves being around the place. A match-day also highlights how much delegation goes on. Fox is surrounded by loyal people who will run through brick walls for him. Assistant Bruce leads the warm-up and is extremely well-respected by the players. Reuben Pearse, the stalwart and the chairman’s son, wears his heart on his sleeve and is a key cog. 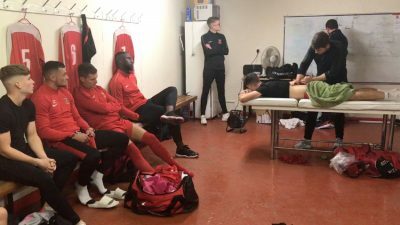 Physio Gianni Gabbiadini, the nephew of Sunderland legend Marco is around to treat various players. Then there’s Chris Dowson, who works for the All Star Football Academy. He and his son Alex perform jobs on a match-day people don’t see. 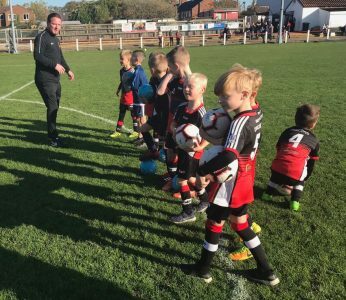 Dowson has also arranged for mascots from the North Duffield under 7s. Fox is thrilled as that’s what he wants – Selby engaging with the local community. As his players warm-up, Fox sprints over to the youngsters from North Duffield, high-fiving every single one before watching them take penalties. This is when the day starts to turn negative. As the players begin trotting back into the changing rooms, concerns are raised about the warm-up. Effort is questioned and Pearse pulls no punches, describing it as “shocking”. Bruce then warns the starting eleven: “We will bring you off if we need to, even in the first half”. Clearly no-one was listening. 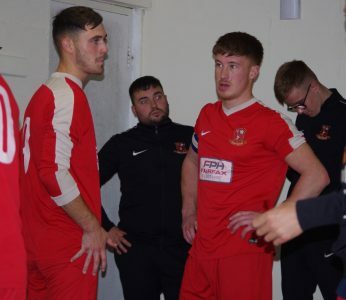 Kamikaze defending after just five minutes allows former Selby striker Luke Anderson – who was sent off in the reverse fixture two weeks ago – to score. Fox and Bruce seem ready to make changes as the latter sends centre-back Ali to warm-up. Selby are all over the place. Then from nowhere Selby produce a piece of swash-buckling football to level the game. Electric Sam Cable begins the move which sees Ryan Woodhead and Jordan Snodin link-up before Liam Flanagan is played through. 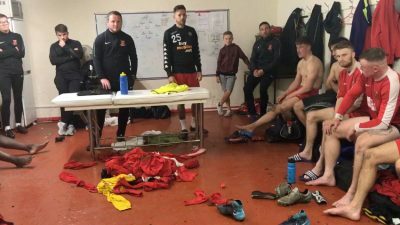 The Robins are dominant for 25 minutes, playing in a way which Fox described later as “some of the best football we have played all season and scored the best goal of the season”. But as half-time approaches, the self-destruct button is pressed and two very sloppy goals are conceded from corners. Fox’s opposition counterpart Rob Watson after third goal turns to his own bench and says: “We have got two goals from nothing.” That sums it up. Fox leads the attack on his team at half-time, demanding answers on how his team defended so badly from corners. After some soul-searching, you can sense there is a feeling they can pull a rabbit out of a hat and pull off a dramatic comeback. Unfortunately the second half is a non-event. No superheroes step out of the shadows and the match fizzles out. Winterton are rarely troubled. The inquest begins. Fox listens, not saying a word for five minutes. The likes of Alex Robinson, Cable, Chris Bilton, Tom Gore, Peter Lawrie and Liam Neal lead it, all with constructive comments. There is no real arguing. Everything said is for the good of the team. Everyone deeply cares about Selby and they want to win promotion. The reality of that performance, on the back of the Grimsby defeat, is that Selby are miles off. On the journey back to Poppleton, the question of whether his team have reached a crossroads and major changes are needed is asked? “We should have picked another game,” laughs Fox. “Seriously though, we’ve learned a lot about our players and we certainly have been given a lot to think about. There’s certainly a few players who need to look at themselves. “We need to get ourselves together quickly. Two defeats on the spin can easily become three then four and you get stuck in a rut which is hard to snap out of. We don’t want that to happen. Once home, via a stop at the local Co-Op to get Harry’s tea – steak and chips – Fox admits the result does hurt because of the attendance. “I do switch off to be honest, I don’t spend all night brooding,” he adds as we part after 12 hours in each other’s company. “I know some managers don’t. What does bother me is that we had a crowd of 177, which is unbelievable, but we didn’t get the win for them. Spending 12 hours with Fox, you see how ruthless and ambitious he is. The problems he currently faces at Selby will be soon rectified.